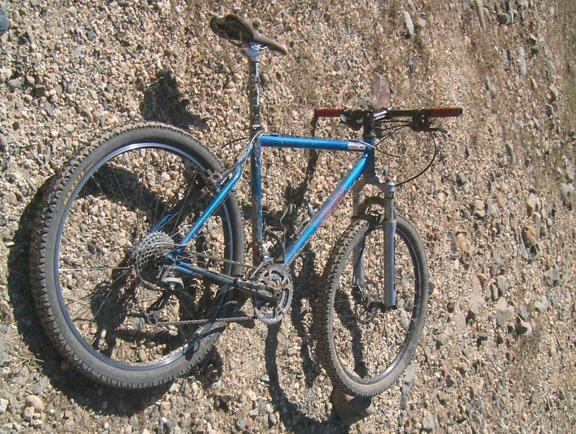 Here is a photo of Icy's Magic Racer hardtail. Each tube was hand picked for his riding style - FAST - and physical dimensions. The front triangle consists of True Temper S3 (Super Strong Steel) tubing, chainstays are Tange Prestige and wishbone seatstays are Dedacciai. Final frame weight ~3.6 lbs -----unbelievable for all steel construction! Laser blue powdercoat by Sycip guarantees a nearly flawless finish.